Fire districts 17 & 16 were dispatched to a dwelling fire on South Lake Drive in Lake Harmony. 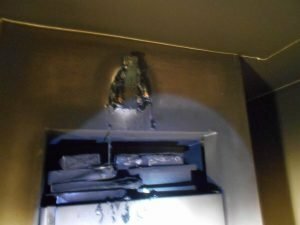 Upon arrival fire fighters made entry into the first floor, finding a heavy soot condition throughout the first floor of the dwelling. 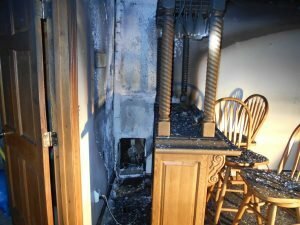 It initially appeared as if the oil burner had back fired. 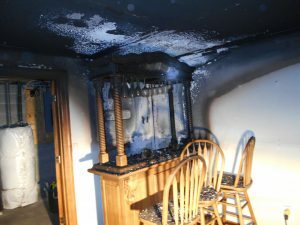 As fire fighters descended into the basement recreational room, they discovered a de-humidifier heavily burned and fire charing up the wall and across the ceiling. 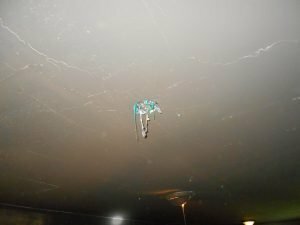 Glass, plastic, and other household items were severely melted. Fortunately, the fire appeared to have consumed all of the oxygen in the home and burnt it self out. Had the glass door or a window have broken during the fire, the results could have been much worse. Crews were on scene for an hour.